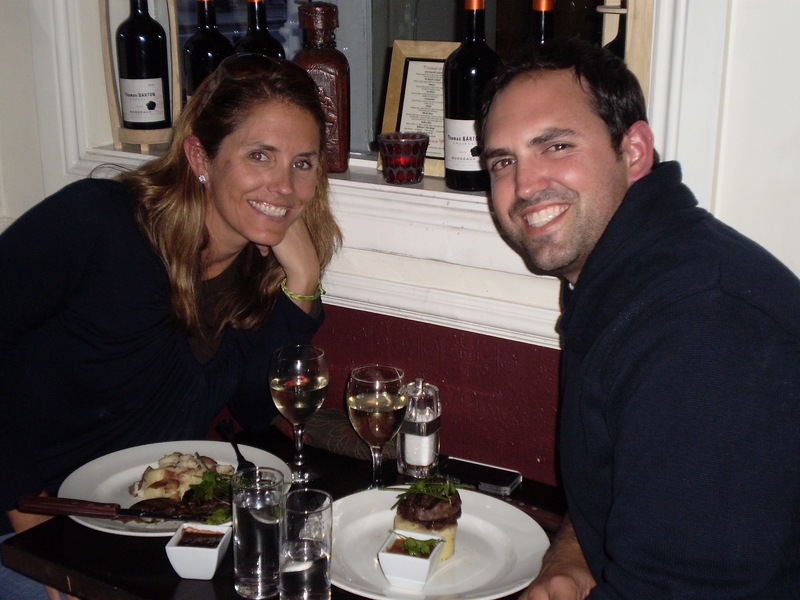 During our Ireland trip we found the best Celiac Friendly Restaurant EVER- Millstone, A Dublin Restaurant (ok, maybe I exaggerate a little sometimes). After touring the Guinness Brewery, Jameson Brewery and taking the Hop on Hop off bus all over town, we decided we would finish off our day and our trip with a nice meal as a treat to ourselves. While out and about I did a quick internet search and found a blog post by Celiac Chicks that made a great recommendation to try Millstone. Other than Vesta Dipping Grill in Colorado I have never seen a Celiac Menu. This was SOO exciting!!! I was overwhelmed with all of the dining options. It was also nice to see that they have a totally different menu rather than just a reprint of the regular menu with statements added that state the obvious: without croutons, without bread, without crackers, etc. I went with the 2 course meal for 17 Euro. At the time this equated to around $30. I started off with the salmon and mackerel salad. I don’t think I have ever had mackerel. It was served cold and paired nicely with the greens, capers and onions. 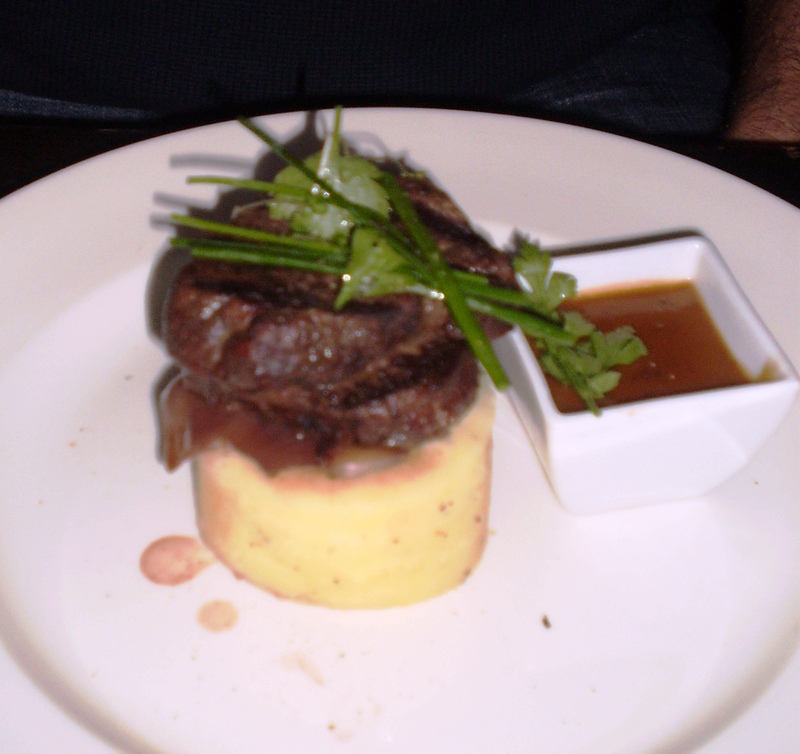 My last course was the prime fillets with herbs and a peppercorn sauce on top of mashed potatoes. It was delicious. The meat was tender and went well with the peppercorn sauce which I quickly poured all over the steak and potatoes. The atmosphere was nice and cozy. It was the perfect retreat from the cold and rain. The gentleman playing guitar was a nice touch, he played cover music and sometimes we sung along. There was a group next to us who were traveling from England and Australia. We had a nice chat with them at the conclusion of the meal. Another important element of a good meal is the company. I can’t think of a greater dining companion. We had a great time talking about our trip and relaxing with a great meal. Thank you Millstone! 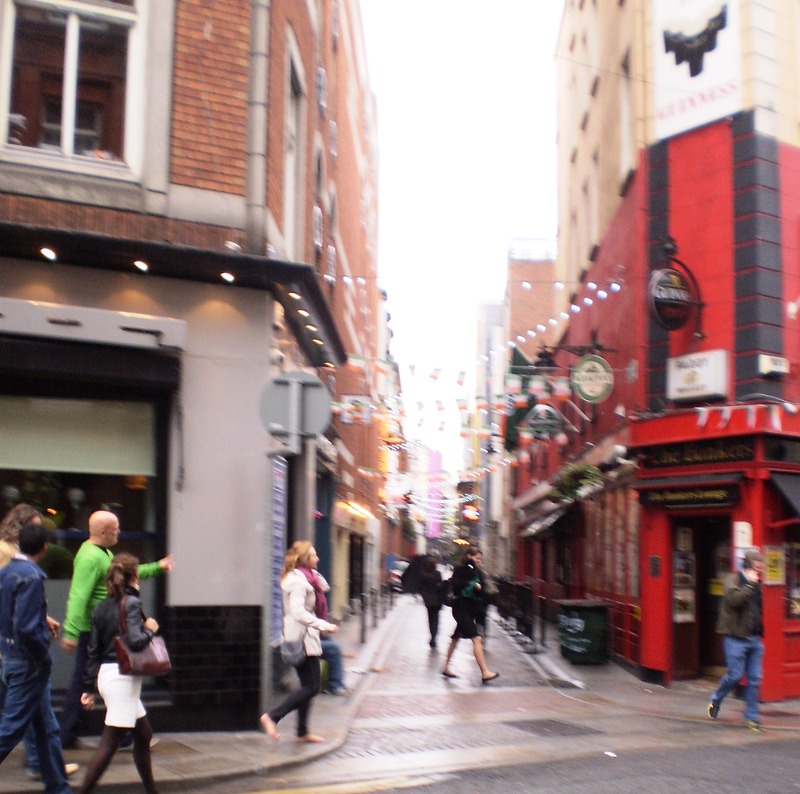 If you are in Dublin, Ireland I recommend checking it out! 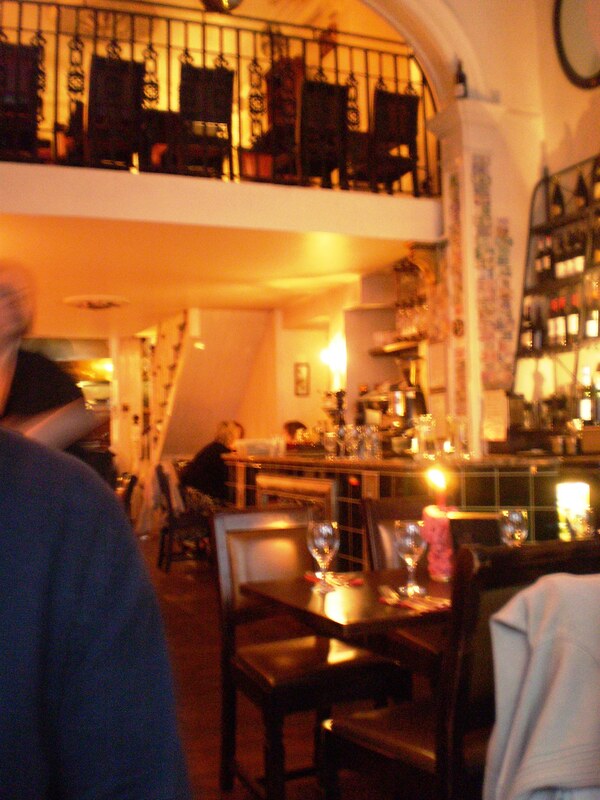 Now we have got really good restaurants in Dublin. Toscana restaurant ( http://www.toscanarestaurant.ie/ ) is another popular restaurant in the city of Dublin. Popular for its ambiance and Italian dishes. I hope to go back some day. I will definitely check it out. I love Dublin and all of Ireland. Ha ha you’ve shown everything, the food pic, the menu and your smile! I give more importance to attention and service than the food, in my opinion a restaurants is best place to eat if visitor gets proper treatment, attention and world class services, I got both of them at Dublin restaurants, so like to be there again.